Below you can view all the homes for sale in the Chastain subdivision located in Atlanta Georgia. Listings in Chastain are updated daily from data we receive from the Atlanta multiple listing service. To learn more about any of these homes or to receive custom notifications when a new property is listed for sale in Chastain, give us a call at 404-998-4063. North Buckhead Location Is Selling Fast Last Phase To Sell! MLS#6536304. The Providence Group Realty, Llc..
Amazing North Buckhead/ Sandy Springs Location! MLS#6536256. The Providence Group Realty, Llc.. Entire Home Renovated-Walking Distance To Chastain Park! MLS#6535247. Keller Williams Rlty, First Atlanta. All Exterior Landscaping Covered In Hoa. Chastain Park Location! MLS#6533923. Engel & Volkers Atlanta. Custom Home Automation System Throughout Including Security, 3-Car Garage, And Approved Pool Plans. MLS#8558756. Keller Williams Realty. Enjoy The Private Backyard With Pool, Stone Patio, Covered Patio & Deck, All Perfect For Entertaining. Home Has A Generator. MLS#6532160. Harry Norman Realtors. 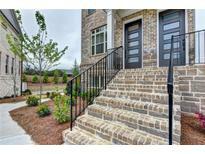 Amazing North Buckhead/ Sandy Springs Location! MLS#6530738. The Providence Group Realty, Llc.. Lot 8, Plan 3, Elev A. MLS#6529714. Engel & Volkers Atlanta. Billiards, Bar, Grilling & Outdoor Entertaining Space. MLS#6529011. Berkshire Hathaway Homeservices Georgia Properties. Award-Winning Schools And Sandy Springs Taxes. Don'T Miss This Beautiful Home! MLS#6529181. Ansley Atlanta Real Estate, Llc. Serene Wooded Backyard, Over $100K Landscape In 2012, With Spectacular 25' Hillside Waterfall Into Salt-Water Wading Pool, Bbq Kitchen, Fire Pit & Hidden Jacuzzi. 4 Car Garage.Truly Special. MLS#6527546. Harry Norman Realtors. Outside City, Award Winning School District. Great Value For Location! MLS#6526435. Harry Norman Realtors. 5 Star Amenities; Pool, Fitness Center, Conference Room, Concierge. MLS#6525805. Compass. All Exterior Landscaping Covered In Hoa. MLS#6523307. Engel & Volkers Atlanta. Elevator To All 3 Floors, 3 Car Garage. MLS#6513957. Atlanta Fine Homes Sothebys International. Custom Built, Quality Construction Built By Gene Sharp Of Sedona Home Builders. MLS#6512929. Atlanta Fine Homes Sothebys International. Lot 19, Plan 1, Elevation C MLS#6513062. Engel & Volkers Atlanta. All Exterior Landscaping Covered In Hoa. Chastain Park Location! MLS#6513055. Engel & Volkers Atlanta. This Fine Home Is The Epitome Of Livable Luxury. MLS#6504476. Harry Norman Realtors. Custom Home Automation System Throughout Including Security, 3-Car Garage, And Approved Pool Plans. MLS#6502381. Keller Williams Realty Intown Atl. Personalize This Home And Close By Sept/Oct 2019 MLS#6502509. The Providence Group Realty, Llc..
North Buckhead Location Is Selling Fast Over 70 Homes Sold In The Last 12 Months! MLS#6502574. The Providence Group Realty, Llc..
3-Car Garage, Laundry On Each Floor & Metal Casement Doors! MLS#8516443. 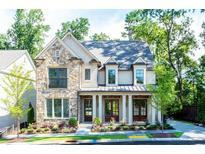 Atl.Fine Homes Sotheby'S Int..
3-Car Garage, Laundry On Each Floor & Metal Casement Doors! MLS#6125629. Atlanta Fine Homes Sothebys International. Hoa Covers Lawn Care.Walk To Chastain Park. MLS#6124341. Engel & Volkers Atlanta.